The Jazz Arts Group of Columbus (JAG) is pleased to announce the placement of 48 students in its 2013-14 Youth Jazz program, part of JAG’s Jazz Academy community programs. At this year’s September auditions, 63 students, from 32 individual middle and high schools in 23 school districts in five counties, auditioned for placement in one of three ensembles: the Columbus Youth Jazz Workshop (CYJW); the Columbus Youth Jazz Studio Ensemble (CYJSE); and the Columbus Youth Jazz Orchestra (CYJO). The Jazz Arts Group is dedicated to advancing the art of jazz through performance and education. The Youth Jazz program fulfills this mission by providing the opportunity for students in grades 7 – 12 to participate in one of its three outstanding ensembles. Each ensemble rehearses weekly and offers a variety of performances and other educational activities each season. · The Columbus Youth Jazz Orchestra performs free concerts on the following Sundays before the Columbus Jazz Orchestra at 2 pm at the Southern Theatre: October 27, December 8, February 9, March 16, and April 13. · All three ensembles will perform end of semester concerts at Fort Hayes Metropolitan Learning Center on December 15 and May 4. · The CYJO intends to perform on an out-of-state trip to be determined in June 2014, and often receives an invitation to perform at the Jazz & Rib Festival as well as the Gahanna Creekside Blues & Jazz Festival. The Jazz Arts Group supports music education in the schools and cooperates with the music education community – all Youth Jazz members are expected to be actively participating in their school music program(s). JAG’s Youth Jazz program, celebrating its 23rd year, receives support from the Ohio Arts Council, The Columbus Foundation and the Greater Columbus Arts Council. 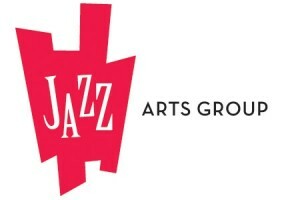 Additional information can be found at www.jazzartsgroup.org or by calling 614-294-5200 x 107.